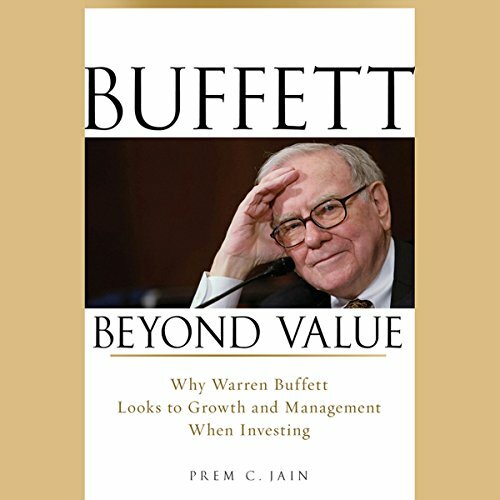 Showing results by author "Prem C. Jain"
In this engaging new audiobook, author Prem Jain extracts Warren Buffett's wisdom from his writings, Berkshire Hathaway financial statements, and his letters to shareholders and partners in his partnership firms. Jain uncovers the key elements of Buffett's approach that every investor should be aware of. With Buffett Beyond Value, you'll learn that, contrary to popular belief, Warren Buffett is not a pure value investor, but a unique thinker who combines the principles of both value and growth investing strategies.